Those who have picked up Wolfenstein 2: The New Colossus may have noticed a “Vault” item on the menu with a countdown. That’s according to what Bethesda told Game Informer when asked about the Vault countdown, which will hit zero on November 7. “There are a few extra surprises behind the vault door when the timer reaches 0,” said a representative for the company. Those who pre-ordered the game were handed Episode Zero, a free bonus opening mission that introduces the three heroes included in the forthcoming DLC. It also included in the season pass. 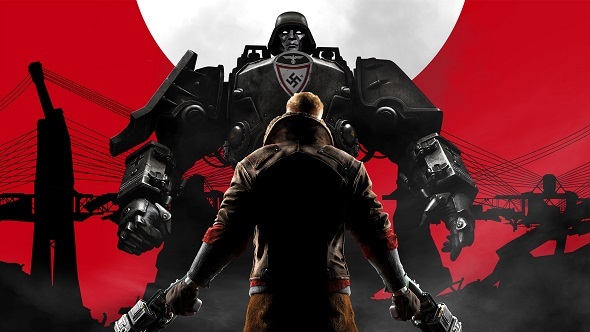 Wolfenstein 2’s DLC is titled The Freedom Chronicles, and the first drop from the pack is Adventures of Gunslinger Joe. It stars former quarterback Joseph Stallion fighting the Nazi oppression in the ruins of Chicago and in space. The Diaries of Agent Silent Death is the second drop, and stars Jessica Valiant, a former OSS (Office of Strategic Services) agent who infiltrates Nazi bunkers in California. The final DLC is titled the Amazing Deeds of Captain Wilkins and stars the US Captain who is on a quest to dismantle Operation Black Sun in Nazi-controlled Alaska. In short, keep an eye on the Vault in the Wolfenstein 2 menu then, because it will unlock in two weeks.